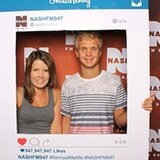 Is a Kiosk Photo Booth Really Necessary at any Event? There is a reason why everyone is going for a kiosk photo booth when they have an event. These booths are great at heightening the excitement at an event. They are a way to create memories and encourage communication. Whether you are having a wedding, a graduation party, birthday party or any other event where photos will be shot, having a kiosk photo booth is a great idea. There are different businesses offering photo booths for hire, and all you need is to ensure that you have the best kiosk photo booth. Kiosk photo booths can be customized which means that you can get any background you need for your photos. First off, the booth will be set up in such a way that it matches the theme of your event. Then the booth will be designed with a background that each guest will likely appreciate or what they have choosen. By having customized photos, the guests will find entertainment in these booths, and this is a great thing. Unlike when one goes to a corner to take a photo by themselves, here they take a photo in line with many others – which pretty much adds the fun. The different backdrops add to the aesthetic effect of the photos. A kiosk photo booth comes with a professional photographer who not only takes quality photos but also produces them on the spot. By hiring a good photo booth company, you are assured of professional quality photos that are produced just as you need them. This is great as guests do not have to use their phones to take amateur photos and videos. Even when you take the pictures yourself, you have a chance to take numerous photos and choose the best. Fortunately, the photo booth hire company might provide you with all the equipment you need to set up the booth, shoot and produce photos as you like. You can request to have special effects or writings on the photos produced. 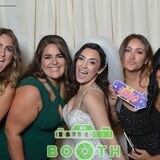 Kiosk photo booths are great for all your guests from the corporate lot to children. This is what makes them ideal for all events whether they are parties or conferences photos. Besides, the booth is easy to set up even when an employee from the hire company does not accompany it. As people queue to take photos and after taking them, they get a chance to network as communications become easy. This is especially great for large family or friends events such as weddings. Instead of taking photos in open space, you can try a kiosk photo booth. Should You Hire a Kiosk Photo Booth? You should definitely hire one if you need to add merry to your event. Guests will enjoy it and you will probably love it too. The memories created in these small booths will last forever thanks to the excitement that comes with the booths. With all these advantages, choose a good photo booth today for an amazing experience.